In this article we will discuss about COMPANY ACCOUNTS – ISSUE OF SHARES,Meaning, Nature and Types of Shares. The shares of the company are movable property, transferable in the manner provided by the Article of Association 0f the company. These can be bought, sold, hypothetical and bequeathed. Right to receive dividend at fixed rate before paying any dividend on equity shares. At the time of wound up of company, they have right to return of capital before equity shares. Cumulative Preference shares → Those shares whose holder recover arrears of preference dividend, before paying dividend on equity shares. Non-Cumulative Preference Shares → The holders of such shares get fixed amount of dividend out of the profit of each year. Participating Preference Shares → Those shares who having right to participate in the surplus profit. Non- Participating Shares →Such shares get fixed rate od dividend every year but do not get right to participate in surplus profit. Redeemable Preference Shares → Those shares which will be repair by the company. 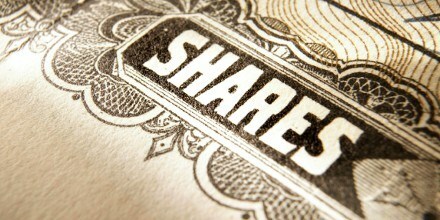 Irredemable Preference Shares → Those shares whose capital cant be refunded before winding up. Convertible Preference Shares → Holders of these shares have a right to get their preference shares converted into equity shares at their option according to the terms of issue. Non-Convertible Preference Shares → When the holder of preference shares have not been conferred the right of getting their preference shares converted into equity shares, such shares are called non-convertible preference shares. Equity shares are those shares which are paid dividends only when profits are left after the preference shareholders have been paid fixed rate of dividends and there will be no fir rate do dividends on equity shares.If the company earn more profits they get a higher rate of dividend.Capital of equity shares are returned when capital of preference shares is returned full. Equity shareholders have voting rights and control the affairs of the company. Share capital means that capital which is raised by the company by the issue of shares.It helps company to raise long term funds.The amount of share capital of a company havs change over time.Company can raised its shares by issue of equity. 1). Authorised, Registered or Nominal Capital → That amount which is stated in Memorandum of Assocation. That is the maximum amount for which company issued shares during its lifetime. 2). Issued Capital → It is a part of Authorized capital which is actually offered to the public for subscription. 3). Subscribed Capital → Subscribed Capital is the part of Issued capital which is subscribed by the public. * Subscribed and fully paid up. * Subscribed but not fully paid up. Rate of Dividend Preference Shares paid fixed rate of dividend. Rate of dividend is not fixed. It depends upon profits of the year. Voting Rights Preference share holders do not having voting right. Equity shareholders enjoying voting rights. Right to participant in Management They do not having right to participate in management of the company. They have full right to participant in management of the company. So we have discussed COMPANY ACCOUNTS – ISSUE OF SHARES,Meaning, Nature and Types of Shares. For any query comment below.